Who’s leading The Voice iTunes Charts? Here’s the iTunes charts and ranking results for the Top 11 artists of The Voice Season 14. The remaining Top 11 artists perform songs chosen by their fans on Monday. Here is the current standing of the Top 11 finalists on iTunes for their performances on The Voice, April 30, 2018 episode. The artist landed in Hot 100 Top 10 chart will have multipliers for the results. The Voice public voting results will be revealed on Tuesday. One artist is in danger of leaving the show. What do you think? Who will make it to the Top 10 of the iTunes chart? 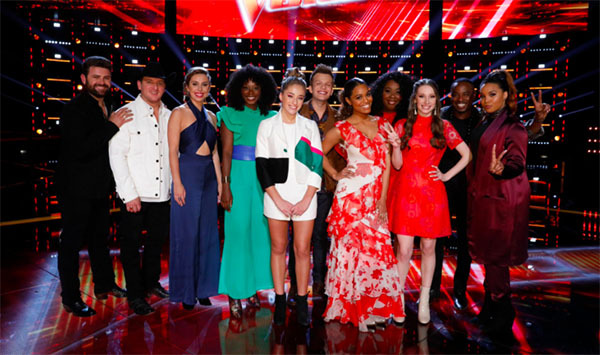 Who do you think will be saved and who will be eliminated on The Voice elimination tomorrow night?